A study by two UTA biologists has yielded a new theory about why some species lose their Y chromosome. 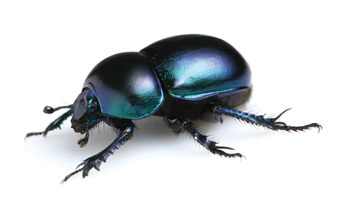 Doctoral candidate Heath Blackmon and Associate Professor Jeffery Demuth studied genetic information from more than 4,000 beetle species. Their “fragile Y hypothesis” purports that the Y chromosome is heavily influenced by how meiosis (the production of sperm) works in an organism. Previous studies have attributed Y chromosome loss to the lesser importance of genes that the chromosome carries. Researchers study the evolution of these chromosomes to learn more about human evolution and disease.